April 1 – Making Sense of Anxiety 5-week course Mondays 1-2pm. $125. Many activities available for families and homeschoolers each month at your local library: Cape Breton, Halifax Region, Across Nova Scotia. 5 (Dartmouth) Teen Book Club at the Cole Harbour Public Library, 1:30pm. Organized by the Comedy of Errors Facebook group. 6 (Halifax) Teachers Learning Code: Python Programming for Educators at Volta in the Maritime Centre. 10am-4pm. Hosted by Canada Learning Code. Learn essential programming theory, practice programming exercises, and create your own interactive program. Grab your free ticket by April 6 at 9am. 9 (Halifax/online) Police Horse Retirement Ceremony at the Grand Parade at 2pm. Halifax Regional Police Chief Jean-Michel Blais will join past and current Mounted Unit officers to host a retirement ceremony for police horse “Duty Sergeant”, affectionately known as “Sarge”. The media and public are invited to attend the ceremony. The ceremony will also be live-streamed on HRP’s Facebook page – click above. 10 (Halifax) Halifax Parks and Recreation Registration begins at 10am. 16 (Tantallon) Math Circles at Tantallon library. Younger kids (grades 2-6) meet from 2-3:00, and older kids (grades 7+) meet from 3-4:00. Join The Comedy of Errors on Facebook for more information and to sign up. 17 (Dartmouth) Homeschool Art Classes with Laurel Rath. Starts today and continues every Wednesday afternoon for homeschoolers ages 6-12. Choose from 1:30pm or 3:30pm classes. Space still available. You may start on April 24th as well. Call 902 223 3032 or visit the link above. 19-21 (Halifax) Spring Geequinox at the Halifax Forum. Weekend Pass: $15. Saturday or Sunday: $10. Gaming, cosplay, comics, art. 20 (Dartmouth) Easter Hunt at MicMac Mall. One hour, starting at 9am/10am/11am/12pm/1pm. $5 per child. 20 (Fall River) Vegetorium Country Farm Market Easter Egg Hunt at the Gordon R Snow Community Centre at 10am. Rain date is the 21st. 20-21 (Hammonds Plains) Hatfield Farm Annual Easter Egg Hunt. 10:30am and 1:30pm. 22 (Halifax) Jazz Drop-in Class for Teens and Adults at 7pm at Neptune Theatre. Pay what you can. Cynthia Vokey (whom I personally know and love) will be teaching. Click on the link above to register. Part of their National Dance Week celebration. 22 (Halifax) Earth Day at the Discovery Centre, 10am-5pm. General admission applies. 23 (Dartmouth) Family Earth Day Event at Fairbanks Centre, Shubie Park from 6:30-8:30pm. Indoor and outdoor activities. 25 (Dartmouth) Adult Rughooking and Creativity as a Source of Wellness for Homeschool Parents at the Alderney Gate Public Library from 5:45-8:45pm. Organized by the Comedy of Errors Facebook group. Cost: $75. Deadline to register: April 10. 25 (Dartmouth) Homeschool cooking class at Braemar Superstore from 1:30-3:30pm. This month we will be discovering Russia. The kids will be making Beef Stroganoff and a Blini (wheat pancake filled with either jam or chocolate syrup). The cost is $14 each. Join The Comedy of Errors on Facebook to participate. 26 (Halifax) Musical Theatre Dance: Breath, Body, and Presence at Neptune Theatre, 7-9pm. $20 + HST for teens age 14-18. In this 2-hour workshop, we will dive into musical theatre dance styles that ignite relationship and dynamic storytelling. With an emphasis on breath and grounding the movement into the floor, we will explore and create choreography that is authentic, dynamic, and fun! Class is followed by a dance party! Workshop takes place in the Neptune Theatre Studios located off the Scotiabank Stage Entrance. Limit 12 participants. Register at the link above. 29 (Halifax) Belly Dancing and Musical Theatre Drop-in Class for Teens and Adults at 6:15pm at Neptune Theatre. $15 for both classes. Click on the link above to register. Part of their National Dance Week celebration. 3-4 (Halifax) HEMS Homeschool Conference at Halifax Christian Academy. Family registration: before January 31st=$45, before March 15=$50. At the door=$55 (cash only). 14 (HRM) Math Circles – watch The Comedy of Errors Facebook group for more information. 17 (Halifax) Brundibár Children’s Opera School Show at Dalhousie Arts Centre’s Sir James Dunn Theatre at 10:30am. Recommended for Grades 3-8. Brundibár is an opera written for children and performed at the Theresienstadt Concentration Camp. $8 each. Email [email protected] with numbers of tickets required. 18 (Sackville) Backyard Birding at the Sackville Library from 10:30am-Noon. The Nova Scotia Bird Society will give a presentation and a short walk (weather permitting). May-August – free guided tours of the Bedford Institute of Oceanography Monday to Friday by appointment only. 14 (Wolfville) Track and Field day in the Valley, 9:30-2:30 pm. We are organizing a track and field day to be held at the Acadia University track. The kids will participate in multiple events and receive ribbons at the end. Fun for all ages and levels, no experience required. There will be a small fee per family for participation. Join The Comedy of Errors Facebook group for more details and to register. All summer long, kids can bowl free twice every day. March 12 – Making Sense of Preschoolers 6-week course Tuesdays 5-6pm. $200. March 25-30 – Homeschool Curriculum Online Summit – video interviews with 25+ Christian curriculum creators and providers. March 26 & 28 – How to Avoid the 5 Biggest Mistakes Parents Make Homeschooling High School. 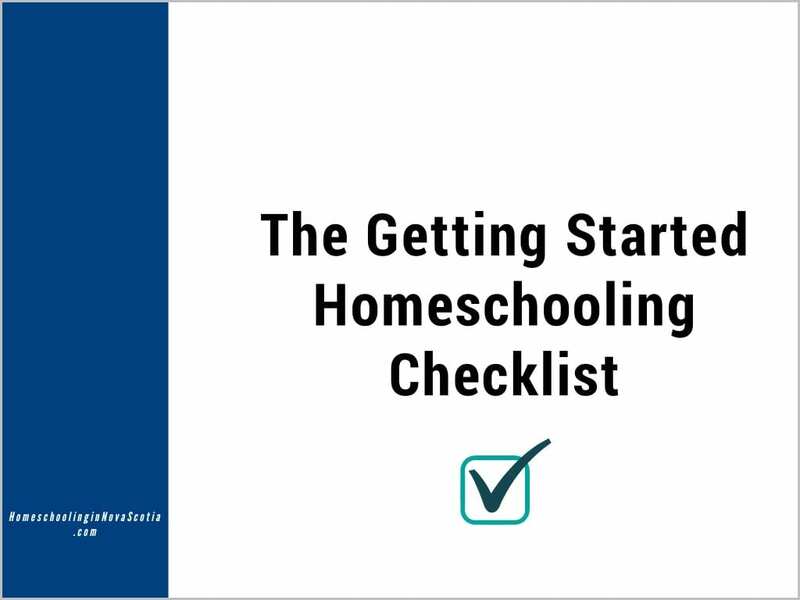 Free workshop with Lee Binz, The HomeScholar. February 6-11 – The Canadian Homeschool Conference – Free to attend live online. Enjoy homeschool and educational expert speakers, vendor hall, prizes, and more. February 18-22 – The HomeScholar TestingWeek – free class High School Testing to learn about the SAT, ACT, etc. on Feb 18th at 7pm and Feb 19th at 5pm. January 15 & 17 – Free Creating Transcripts for Your Unique Child workshop. Learn how to create a transcript for your gifted or struggling, artistically inclined or math-obsessed child. May – Learn Secrets to Successfully Launch Your Teen into College and Life with Lee Binz, The HomeScholar. Running until May 22nd. May 22 and 24 – How to Be Your Child’s Best College Coach with Lee Binz, The HomeScholar. Choose from Tuesday, May 22 at 2pm AT or Thursday,May 24 at 5pm AT. February 12 – 23 – Attend the College Launch Convention online with your teens! Sessions on homeschooling struggling learners, studying, entrepreneurship, scholarships, and more! Register for each session here. October 5 – Preparing to Homeschool High School Free Hurricane Edition with Lee Binz, The HomeScholar at 4pm Atlantic Time (3pm ET). Invite a friend whose public and private schooled children were affected by the recent hurricanes so they can learn about the option to homeschool high school. August 22 5 Strategies to Encourage a Love for Learning online workshops by How to Homeschool My Child at noon, 4pm, and 10pm Atlantic Time. August 30 and 31 3 Strategies to Stop Feeling Overwhelmed, free webinar by Crystal Paine, Money Saving Mom. What to say yes and no to, the number one trick to get more done every day, and more! Choose from August 30th at 3pm Atlantic or August 31 at 1 or 9pm Atlantic. July 3-9, 2017 Digital Homeschool Convention Online homeschool conference with sessions from each day available free for five days each! February 2-15 Free Parenting Teens Summit. Sign Up Today for this FREE Christian Online Conference for Parents Starting February 2. 40+ Amazing Speakers Will Provide Tips and Encouragement to Help You and Your Teens Build Lifelong Faith. February 3-7 Free Canadian Online Conference is a multi-day virtual event featuring many of the things that make an in-person conference a success: knowledgeable speakers, a vendor hall, opportunities to interact with other attendees, fun, giveaways, and more. It is absolutely free to attend live (with the option to buy a complete – access pass after the event). We are excited to have you join us – I am one of the speakers!! 20 (Windsor) Puppet Power, a 7-week puppetry course at Mermaid Theatre of Nova Scotia. For children ages 9-12. The program will run Fridays from 6-8 pm, From Jan. 20 to Mar. 3. 27 (Sydney) Star Wars Day! at the McConnell Library, 6 PM – 7 PM. “Use-The-Force” Games and Crafts. For: Ages: 7-12 year. Call (902)-562-3161 to register! Featuring: “These are the Droids you are looking for” Droid hunt, stormtrooper target practice, make-your-own-lightsaber, and other fun-filled use the force activities! *If you wear a costume you will be entered into a draw to win a Star Wars prize pack! 1 (Halifax) Homeschoolers Halifax Club weekly on the 2nd floor Children’s Play Area at the Halifax Public Library at 1pm. Organized by The Comedy of Errors Facebook group. 4 (Halifax) Breakdance Drop-in 6:30-8:30pm at the Needham Community Centre in the North End. All ages and levels of breakdancers welcome. 5 (Windsor) Homeschool Puppet Jams at 1-3pm at the Mermaid Theatre for ages 6-16. Participants create their own puppet using common, everyday items. Each session will explore a different theme, spending half the session building puppets, and moving on to learn how the puppets will come to life, through manipulation and play. Feb 5th – March 5th – May 8th – June 4th. Cost: $15.00(+HST) Drop In. Reserve all 4 Sessions and pay $12.00(+HST) Per Session. 8 (Halifax) Homeschoolers Halifax Club weekly on the 2nd floor Children’s Play Area at the Halifax Public Library at 1pm. Organized by The Comedy of Errors Facebook group. 11 (Halifax) Halifax Brain Repair Centre: Who We Are and What We Do at Life Sciences Research Centre Atrium, 1344 Summer St, 7-9pm. 11 (Halifax) Breakdance Drop-in 6:30-8:30pm at the Needham Community Centre in the North End. All ages and levels of breakdancers welcome. 12 (Halifax) HEBB Memorial Lecture: Margaret Livingstone, Harvard Medical School in Room C238 Life Sciences Centre, 1355 Oxford St., 11:30am-1pm. 14 (Halifax) Brain Fair – free student and family event with hands-on neuroscience activities for all ages in the Life Sciences Research Centre Atrium, 1344 Summer Street, 10am-2pm. 15 (Dartmouth) Teen Book Club at the Cole Harbour Public Library, 1:30pm. Organized by the Comedy of Errors Facebook group. 15 (Halifax) Homeschoolers Halifax Club weekly on the 2nd floor Children’s Play Area at the Halifax Public Library at 1pm. Organized by The Comedy of Errors Facebook group. 15 (Dartmouth) Teen Book Club at the Cole Harbour Public Library at 1:30pm. This month’s book is Flatland by Edwin A. Abbott. Organized by The Comedy of Errors Facebook group. 16 (Halifax) Hands-on Brains at the Discovery Centre, hands-on fun and learning 10am-2pm. Regular admission applies. 16 (Halifax) Free Capoeira Class at the Halifax North Library from 2-4pm. Capoeira is an afro-brazilian martial art-acrobatic-dance. 18 (Halifax) Breakdance Drop-in 6:30-8:30pm at the Needham Community Centre in the North End. All ages and levels of breakdancers welcome. 19 (Dartmouth) Math Circles – Elementary at the Dartmouth North Community Centre, 11:30am. Hosted by Dalhousie and organized by The Comedy of Errors Facebook group. 19 (Dartmouth) Math Circles – Junior & Senior High at the Dartmouth North Community Centre, 12:30-1:30pm. Hosted by Dalhousie and organized by The Comedy of Errors Facebook group. 21 (Dartmouth) Underground Dartmouth: Finding Fort Clarence at 7:30pm at Alderney Gate Library. A passionate archaeological advocate, David Jones will deliver an exciting presentation on the buried history of Fort Clarence (underneath the former Imperial Oil Dartmouth Refinery). This talk is an enhanced and updated version of a previous presentation made to Industrial Heritage Nova Scotia. Arranged by Heritage Trust Nova Scotia. 22 (Halifax) Homeschoolers Halifax Club weekly on the 2nd floor Children’s Play Area at the Halifax Public Library at 1pm. Organized by The Comedy of Errors Facebook group. 23 (Dartmouth) HEMS Homeschool Project Fair, 9:30am-1pm at Cole Harbour Public Library. $5 per participating student. Projects from any combination of subject areas are welcome. Students in grades 4-12 who present a project about Canadian Heritage may be eligible to go on to participate in the Provincial Heritage Fair in the spring. 25 (Halifax) Breakdance Drop-in 6:30-8:30pm at the Needham Community Centre in the North End. All ages and levels of breakdancers welcome. 27 (Halifax) Track and Field Try it Out at the Canada Games Centre from 9:30-11:30am. Organized by The Comedy of Errors Facebook group. 29 (Halifax) Homeschoolers Halifax Club weekly on the 2nd floor Children’s Play Area at the Halifax Public Library at 1pm. The cost will be $11 per child with a max of $33 per family. There will be a maximum of 15 kids for each age group (6-9 and 10-teen). Payment in advance is required to reserve your spot. Organized by The Comedy of Errors Facebook group. 30 (Bedford) Free Try Tennis Girls Event for ages 7-13 at Atlantic Tennis Centre, 4-6pm. Pre-register by emailing [email protected] with name, age, and experience. 2 (Halifax) Lunar New Year Celebration at Pier 21, 10am-3pm. Celebrate the Year of the Pig and Japanese, Chinese, and Philipino culture. Music, dance, tours in Mandarin, and hands-on activities. 11 (Halifax) (Halifax) Breakdance Drop-in 6:30-8:30pm at the Needham Community Centre in the North End. All ages and levels of breakdancers welcome. 15 (Dartmouth) Teen Book Club at Cole Harbour Public Library, 1:30pm. For teens 13+. This month’s book is Watership Down. Organized by The Comedy of Errors Facebook group. 16 (Halifax) Contra Dance, 6:30-10:30pm at Maritime Museum of the Atlantic. First hour is kid-oriented, family friendly dancing. Organized by Halifax Contra Dances. Contact [email protected] for more info. 17 (Halifax) Alice The Ballet at the Spatz Theatre 1pm and 4pm. 18 (Sydney) YMCA Family Day Event. Activities for the whole family 9:30am-3:30pm. 19 (Upper Tantallon) Math Circles at Tantallon Public Library. Grades 2-6 from 2-3pm and Grades 7+ from 3-4pm. Theme is JURY DUTY: A crime has been committed! By exploring various areas of mathematics, such as logic, graph theory, cryptography and more, we will see if we can put the guilty party behind bars! Organized by The Comedy of Errors Facebook group. 20 Pier 21 Field Trip at 11am at the Canadian Museum of Immigration. Parents are free. Admission is $8 per child which includes the tour and workshop. Children under 5 are also free and their free admission includes the tour and free time to explore the exhibit (but if they want to take part in the workshop they would need to pay the $8). Cash only and please arrive early to join the group and pay. Organized by The Comedy of Errors Facebook group. 22 & 24 (Halifax) Community Workshop: An Introduction to Knitting at the Halifax Seaport Farmers Market at 1pm each day. $15 for both days. Yarn provided; needles provided for use at the workshop only. RSVP to [email protected] to reserve your space today. Space is limited. 24 (Halifax) Bristle Bots at Halifax Central Library at 2-4pm. Use a toothbrush and a few electronic parts to make a simple but frenetic toy robot. Organized by the Halifax Makerspace Meetup. 24 (Bedford) Halifax Makerspace Open House from 1-5pm at 275 Rocky Lake Dr, Unit 19, Bedford. 26 (Bedford) Open Night at Halifax Makerspace from 6-10pm. Tour Makerspace and get your questions answered. 27 (Bedford) Filament vs. Resin 3D Printing 7-9pm at Halifax Makerspace. In this era of 3d printing, come and learn about the different processes along with the pros and cons of each. No printing or 3d model experience necessary. By ticket only: https://hfxmakerspace.eventbrite.ca/. 19 (Halifax) Contra Dance 7:30-10:30pm at All Nations Church at Robie and Charles. All ages. Kids, families, and non-dancers enter by donation. Organized by Halifax Contra Dances. 31 (Halifax) Free Educator Showcase at the Discovery Centre, 6-8pm. Learn about community organizations that can enrich your school or homeschool students. Chat with Acadia Robotics, Pier 21, Hope for Wildlife, etc. Grab your free ticket by clicking on the link to the Facebook event above. 1 (Dartmouth) Flora & Fauna Identification Workshop at Point Pleasant Park in the Seaside parking lot at 10am. Organized by Nova Scotia Nature Trust. Join Mike Lancaster, Stewardship Coordinator for the St. Margaret’s Bay Stewardship Association and learn how to identify common species of flora and fauna in this entry-level workshop! Contact Mike to reserve your spot: [email protected] Suggested donation of $20 per person. 8 (Dartmouth) Flora & Fauna Identification Workshop at Point Pleasant Park in the Seaside parking lot at 10am. Organized by Nova Scotia Nature Trust. Join Mike Lancaster, Stewardship Coordinator for the St. Margaret’s Bay Stewardship Association and learn how to identify common species of flora and fauna in this entry-level workshop! Contact Mike to reserve your spot: [email protected] Suggested donation of $20 per person. Summer camps across mainland Nova Scotia and across Cape Breton Island. 28 (Halifax) ASLA’s Conference for Science Teachers (Gr 7-9). Free conference at the Life Sciences Centre, Dalhousie University, 9am-5pm. 28 (Halifax) Homeschool Registration Writing Workshop at the Keshen Goodman Library, 6:30-8:30pm. 2 (Sackville) Lakeshore Kids Run Club at the Sackville Sports Stadium Mondays at 6:30pm – a free running club for children. It is a parent driven, parent guided group focused on fostering a love for running and physical activity at an early age. It’s weather permitting – running is primarily on the First Lake Trail – so the club will not run in very high winds, heavy rainfall in effect or thunder showers. 9 (Sackville) Lakeshore Kids Run Club at the Sackville Sports Stadium Mondays at 6:30pm – a free running club for children. It is a parent driven, parent guided group focused on fostering a love for running and physical activity at an early age. It’s weather permitting – running is primarily on the First Lake Trail – so the club will not run in very high winds, heavy rainfall in effect or thunder showers. 16 (Sackville) Lakeshore Kids Run Club at the Sackville Sports Stadium Mondays at 6:30pm – a free running club for children. It is a parent driven, parent guided group focused on fostering a love for running and physical activity at an early age. It’s weather permitting – running is primarily on the First Lake Trail – so the club will not run in very high winds, heavy rainfall in effect or thunder showers. 23 (Sackville) Lakeshore Kids Run Club at the Sackville Sports Stadium Mondays at 6:30pm – a free running club for children. It is a parent driven, parent guided group focused on fostering a love for running and physical activity at an early age. It’s weather permitting – running is primarily on the First Lake Trail – so the club will not run in very high winds, heavy rainfall in effect or thunder showers. 28 (Halifax) Halifax Citadel Society’s 25th Anniversary! Free admission for the day. 9-5 pm: Regular programming. 2-4 pm: Presentation of the Colours Ceremony to the 78th Highlanders. 30 (Sackville) Lakeshore Kids Run Club at the Sackville Sports Stadium Mondays at 6:30pm – a free running club for children. It is a parent driven, parent guided group focused on fostering a love for running and physical activity at an early age. It’s weather permitting – running is primarily on the First Lake Trail – so the club will not run in very high winds, heavy rainfall in effect or thunder showers. 4 (Sackville) Lakeshore Kids Run Club at the Sackville Sports Stadium Mondays at 6:30pm – a free running club for children. It is a parent driven, parent guided group focused on fostering a love for running and physical activity at an early age. It’s weather permitting – running is primarily on the First Lake Trail – so the club will not run in very high winds, heavy rainfall in effect or thunder showers. 9 (Lunenburg) Nova Scotia Sea School Free Day Sail at the Boathouse in Lunenburg. Choose from 10am or 1:30pm sail. TO REGISTER: Contact Sophia Hopkins at [email protected], or call (902) 423-7284. 11 (Halifax/Dartmouth) Homeschool Report Writing Workshop organized by NSHEA, 6:30-8:30pm. Location TBA. 11 (Sackville) Lakeshore Kids Run Club at the Sackville Sports Stadium Mondays at 6:30pm – a free running club for children. It is a parent driven, parent guided group focused on fostering a love for running and physical activity at an early age. It’s weather permitting – running is primarily on the First Lake Trail – so the club will not run in very high winds, heavy rainfall in effect or thunder showers. 16 Wild Food Foraging Course in northeast Nova Scotia at Twa Corbies Hollow, approx. 45 minutes from New Glasgow and Antigonish from 9am to 4pm. Cost: $60 per person (paid on site) or Pre-Register for $50. Ages: Adults and youth to age 12 (youth must be accompanied by a guardian). 18 (Sackville) Lakeshore Kids Run Club at the Sackville Sports Stadium Mondays at 6:30pm – a free running club for children. It is a parent driven, parent guided group focused on fostering a love for running and physical activity at an early age. It’s weather permitting – running is primarily on the First Lake Trail – so the club will not run in very high winds, heavy rainfall in effect or thunder showers. 25 (Sackville) Lakeshore Kids Run Club at the Sackville Sports Stadium Mondays at 6:30pm – a free running club for children. It is a parent driven, parent guided group focused on fostering a love for running and physical activity at an early age. It’s weather permitting – running is primarily on the First Lake Trail – so the club will not run in very high winds, heavy rainfall in effect or thunder showers. 14 (Sackville) Lakeshore Kids Run Club at the Sackville Sports Stadium Mondays at 6:30pm – a free running club for children. It is a parent driven, parent guided group focused on fostering a love for running and physical activity at an early age. It’s weather permitting – running is primarily on the First Lake Trail – so the club will not run in very high winds, heavy rainfall in effect or thunder showers. Kids are expected to come dressed for running in comfortable clothes and proper footwear. 15 (Dartmouth) Math Circles for Homeschoolers at the Dartmouth North Community Tatamagouche Centre, 10am (younger elementary group) and 11 am (upper elementary-high school). Theme: “Mathemagic.” Organized by The Comedy of Errors Facebook group. 19-21 (New Ross) Woolly Weekend at Ross Farm Museum. Spring is here and the sheep at Ross Farm Museum have had their lambs and are ready for their annual shearing. There will be demonstrations in sheep shearing, washing & spinning wool. Learn about the importance of sheep to early settlers and about the work involved to produce yarn and how woolen yarn was used to make material for the clothing necessary for the cold winter days. Admission: Adult $10.00, Senior (65+) $8.00, Students (with Student Card) $7.00, Child (6-17 years) $4.00, 5 & Under Free, Family (max. 2 adults) $25.00. 21 (Sackville) Lakeshore Kids Run Club at the Sackville Sports Stadium Mondays at 6:30pm – a free running club for children. It is a parent driven, parent guided group focused on fostering a love for running and physical activity at an early age. It’s weather permitting – running is primarily on the First Lake Trail – so the club will not run in very high winds, heavy rainfall in effect or thunder showers. 25 (Halifax) Capella Regalis Men and Boys Choir Spring Open House at 6350 Coburg Road, 5:30-6:30pm. Free program for boys age 6 – 12. Hear the choir sing, listen to director Nick Halley talk about the program, have your questions answered, and meet current parents and choristers. Refreshments provided, all are welcome. 26 (Dartmouth) Homeschooling High School/What Next Panel at Port Wallis United Church at 9am. Listen to homeschool parents who have experience homeschooling high school and gaining admission into college and university and earning scholarships. Put on by The Comedy of Errors Facebook group. 26 (Lower Ship Harbouer) Power Play Workshop for ages 8 to 12 at The Deanery Project, 10:30am-1:30pm. Participants will build their own wind machines, experiment with solar power and learn about renewable energy resources in our communities. Price: $20. Bring a bag lunch. Pre-register by email: [email protected] or call 902-845-1888. 28 (Sackville) Lakeshore Kids Run Club at the Sackville Sports Stadium Mondays at 6:30pm – a free running club for children. It is a parent driven, parent guided group focused on fostering a love for running and physical activity at an early age. It’s weather permitting – running is primarily on the First Lake Trail – so the club will not run in very high winds, heavy rainfall in effect or thunder showers. 6 (Halifax) Video Games Live at the Dal Arts Centre at 7:30pm. Video Games Live returns to Halifax with Symphony Nova Scotia and an ALL NEW SHOW for 2018! Sign up for the Video Games Live mailing list at https://www.videogameslive.com to get the info, best seats and prices. 7 (Halifax) Video Games Live at the Dal Arts Centre at 7:30pm. Video Games Live returns to Halifax with Symphony Nova Scotia and an ALL NEW SHOW for 2018! Sign up for the Video Games Live mailing list at https://www.videogameslive.com to get the info, best seats and prices. 8 (Halifax) Video Games Live at the Dal Arts Centre at 2pm. Video Games Live returns to Halifax with Symphony Nova Scotia and an ALL NEW SHOW for 2018! Sign up for the Video Games Live mailing list at https://www.videogameslive.com to get the info, best seats and prices. 27-28 (Lower Sackville) HEMS Homeschool Conference – with speaker Steve Demme from Math-U-See. Friday 2-9pm, Saturday 8am-5pm. 30 (Canning) Art Day Camp at Ross Creek Centre for the Arts for ages 5-12, 9am-5pm. Spend the day making art, playing games and meeting new friends at our PD Day Camps! Surrounded by the beautiful natural surroundings at Ross Creek Centre for the Arts kids will have the opportunity to explore the landscape and try out a variety of art activities in a studio setting. The registration fee includes all materials and a tasty homemade lunch! Cost: $50 per child, includes all materials + lunch and snacks! 10 (Canning) Art Day Camp at Ross Creek Centre for the Arts for ages 5-12, 9am-5pm. Spend the day making art, playing games and meeting new friends at our PD Day Camps! Surrounded by the beautiful natural surroundings at Ross Creek Centre for the Arts kids will have the opportunity to explore the landscape and try out a variety of art activities in a studio setting. The registration fee includes all materials and a tasty homemade lunch! Cost: $50 per child, includes all materials + lunch and snacks! Nova Scotia Scholastic Chess Association Free Tournament at the Central Library coming in October. Watch their site for details. 1 (Halifax) Free Chess Tournament at the Halifax Central Library, 12:30-5pm. Put on by the Nova Scotia Scholastic Chess Association. 2 (Truro) RECC Active Classes for Homeschoolers ages 5 and up from 2-3pm. Every Monday through October 23 (no class on Oct. 9). Pay as you go- sign up weekly at welcome desk for $3 each ($5 for rock wall). Classes on a rotating basis: Bootcamp, DANCEPLE3Y Kids, Yoga, one session of rock climbing. Parents are responsible for supervising their children during each activity. 6 (Truro) Riverbreeze Corn Maze Trip, 10am-12:45pm. Organized by The Comedy of Errors Facebook group. $6.50 each (for a group of 20). $5 pumpkins available from the patch. Weather permitting, will go to Victoria Park afterward. 6-14 (Cape Breton) Celtic Colours International Festival. Activities all over Cape Breton, including free activities at local libraries. 12 & 14 (Halifax) Nocturne – Evenings of art and wonder. 16 (Truro) RECC Active Classes for Homeschoolers ages 5 and up from 2-3pm. Every Monday through October 23 (no class on Oct. 9). Pay as you go- sign up weekly at welcome desk for $3 each ($5 for rock wall). Classes on a rotating basis: Bootcamp, DANCEPLE3Y Kids, Yoga, one session of rock climbing. Parents are responsible for supervising their children during each activity. 19 (across Nova Scotia) NSCC Open House at all NS locations. Tours, demonstrations, displays, and interactive activities. 23 (Truro) RECC Active Classes for Homeschoolers ages 5 and up from 2-3pm. Every Monday through October 23 (no class on Oct. 9). Pay as you go- sign up weekly at welcome desk for $3 each ($5 for rock wall). Classes on a rotating basis: Bootcamp, DANCEPLE3Y Kids, Yoga, one session of rock climbing. Parents are responsible for supervising their children during each activity. 2 (Halifax) Homeschool Informational Tea for those thinking about homeschooling or just getting started! At the MSVU Faculty Lounge 10am-noon. Contact [email protected] with any questions. 4-8 (Caledonia) 17th Annual Nova Scotia Not Back to School Camping Trip at Mount Keji National Park. Organized by The Comedy of Errors Facebook homeschool group. 5 (Dartmouth) Indigo Kids Book Club hosted by Chapters Dartmouth, 6-7pm. Discuss The Little Prince. 10 (Halifax) Halifax Colour Festival 11am-5pm at Dalhousie University. Play with colours and dance to the music. All ages welcome. Ages 5 and under get free admission and one free colour pouch. 13-17 (Halifax) Halifax Celtic Festival at the Halifax Forum Multipurpose Centre and around the HRM. Free admission. Culture, language, music, dance, food vendors, family friendly events. 14 (Iona) Highland Village Homeschool Trip at 10:30am arranged by Cape Breton Homeschoolers Facebook group. Please sign up in advance. 14 (Halifax) September Food Truck Party at the Museum of Natural History from 4-8pm. $2 admission. Kids are free. Pet friendly. Rain or shine. 14-23 (Halifax) Prismatic Arts Festival. Fun for the whole family. Performances in theatre, dance, music spoken word, visual arts, and media arts by artists from across Canada. 22-24 (Halifax) Hal-Con Sci-Fi, Fantasy, and Gaming Convention at the WTCC and Scotiabank Centre. Fun for all ages. 23 (Halifax) Quinfest Family Fun Day on Quinpool Road, 11am until 3pm. Carnival games, food, fun, and the SwampDonkeys! 25 (Truro) RECC Active Classes for Homeschoolers ages 5 and up from 2-3pm. Every Monday through October 23 (no class on Oct. 9). Pay as you go- sign up weekly at welcome desk for $3 each ($5 for rock wall). Classes on a rotating basis: Bootcamp, DANCEPLE3Y Kids, Yoga, one session of rock climbing. Parents are responsible for supervising their children during each activity. 29 (Canning) Art Day Camp at Ross Creek Centre for the Arts for ages 5-12, 9am-5pm. Spend the day making art, playing games and meeting new friends at our PD Day Camps! Surrounded by the beautiful natural surroundings at Ross Creek Centre for the Arts kids will have the opportunity to explore the landscape and try out a variety of art activities in a studio setting. The registration fee includes all materials and a tasty homemade lunch! Cost: $50 per child, includes all materials + lunch and snacks! 16 (Halifax) NSHEA Homeschool Registration Writing Support Workshop at Keshen Goodman Library, Room C, 6-8pm. Whether it’s your first time, you’re transitioning to a new home ed approach, or you’re a pro and would like to just get it over with – come join us! We’ll be providing the nibblies with coffee and tea (decaf options too). There is a limit of 30 people in that space so we will need to have your attendance confirmed by clicking GOING on the event page so I can get you on the list. Table space will be available to bring laptops, notebooks, pens, etc. should you wish. We booked an evening to hopefully allow for child care support after work hours if possible. But if you need to bring little ones, feel free if you think they’ll be ok with whatever you bring to keep them occupied. 18-20 (Parrsboro) Nova Scotia Gem and Mineral Show at the Fundy Geological Museum, 10am-5pm. $5 admission. Thirty vendors. Demonstrations. 19-20 (Denmark) Artisan Soap Making Workshop at Sutherland Steam Mill. $105 for two half day workshops. 20 (Clam Harbour) Clam Harbour Beach Sandcastle Competition 9am-6:30pm. Rain or shine. 23 (New Ross) Nothing But the Flax at Ross Farm Museum. Staff will be on hand to inform and demonstrate the steps involved from the planting of the seed to the spinning of the fiber. 24 (Louisbourg) Fortress of Louisbourg Homeschool Trip at 10am arranged by Cape Breton Homeschoolers Facebook group. $2.40 per child. Please sign up in advance. 24 (Iona) Evening Ceilidh Tour at the Highland Village Museum. Céilidh from house to house for a guided storytelling tour of the Highland Village. This special folk life experience will give you insight into the lives and stories of Nova Scotia Gaels. The group will have an opportunity to enjoy some tea and traditional Cape Breton oatcakes. Cost: $25.00 per person. Reservations preferred. Call to pre-book your tickets: 902-725-2272. 24 (Bridgewater) Spinning Demonstration at Wile Carding Mill. Join Karen Wentzell , Ice House Spinners, for an educational and entertaining afternoon as she demonstrates the heritage skill of spinning wool into yarn. Regular museum admission fees apply. 25 (Dartmouth) The Maritime Conservatory’s Coming Home Gala at Alderney Landing in celebration of 130 years as a performing arts institute. Dance performances by Conservatory alumni and students, including an excerpt from the Anastasia ballet and more. Tickets are available for $20 online at www.ticketpro.ca or at the door. 26 (Lower Sackville) Genealogy Workshop at the Sackville Public Library, 2-4pm. 26 (Mount Uniacke) Sunset Secrets at Uniacke Estate Museum Park. What happened at Uniacke house when the sun went down? Explore the rooms behind the ropes. Discover the secret language of courtship and the life of an old maid. 26 (Dartmouth) Celebrate 100% Connection of The Great Trail at Cole Harbour Parks and Trails Association, 10am-3pm. Install bird, butterfly, and bee houses along the Trans Canada Trail and then celebrate with a BBQ and cake. 26 (Bible Hill) Back to School Bash (organized by Bible Hill Recreation) from 10am-2pm at the Bible Hill Recreation Park. 26 7th First Annual Time Travellers’ Picnic at Halifax Public Gardens, 2-4pm. Put on by the Jules Verne Phantastical Society, you can dress up in any costume or cosplay, it doesn’t have to be Steampunk. Attendance is free and you are encouraged to bring a picnic lunch. 31 (Bridgewater) Spinning Demonstration at Wile Carding Mill. Join Karen Wentzell , Ice House Spinners, for an educational and entertaining afternoon as she demonstrates the heritage skill of spinning wool into yarn. Regular museum admission fees apply. 31-Sept 10 (Halifax) Fringe Festival Full lineup of plays HERE. 24-25 Storytelling: The Heart of Waldorf Education. Featuring keynote speaker, storyteller & Waldorf educator Dawne McFarlane plus 12 other workshops to choose from, including: how to make up stories on the spot, discovering the story a rock can reveal, simple puppetry, and creating stories with others through movement. Cost is $150 for the full weekend, $100 a day for Saturday or Sunday, and $25 for individual workshops. Snacks and lunch are included. Childcare is available at additional cost. 1 (Halifax) Free Admission to the Discovery Centre every Wednesday 5-8pm. 7 (Iona) Caidreabh na Tì at the Highland Village from 2 pm – 4 pm. You are invited to join us for our Gaelic tea and Social. Drop in anytime between 2-4pm for tea and Gaelic conversation. Only Gaelic will be spoken. All are welcome. 7 (Halifax) Ghosts and Maritime Folklore at Maritime Museum of the Atlantic at 7 pm. Join Andrew Aulenback, Heritage Interpreter, Historical Re-enactor, Librarian and Folklorist for a hair-raising tour of some of the Museum’s darkest corners. He’ll be recounting tales of the Sambro Island Light, Sable Island also known as the Graveyard of the Atlantic and many more. 7 (New Ross) Rug Hooking Workshop – Sheep in a Box at Ross Farm Museum from 1 pm – 4 pm. If you would like to try rug hooking, join us for an afternoon workshop to create a charming Ross Farm sheep. No previous hooking experience is required. Fee – $75. Class size – minimum 8 and maximum 15. The workshop fee includes: A kit with backing, fibres and a shadow box ; Expert instruction for hooking and finishing; use of Ross Farm hook and hooking frame; Afternoon coffee break. Registration Required. 8 (Halifax) Free Admission to the Discovery Centre every Wednesday 5-8pm. 10 (Iona) Moonlight Snowshoe Walk at Hector’s Poin at 7 pm. This hike will see you walking around the snowy Highland Village by moonlight. It will be approximately 3km and will end back at the Frolic’n Folk Pub. There you will receive a cup of Jill’s Hot Chocolatea or for those that are 19/over a 10oz pint. Walk is for all ages. Shorter routes are available. $15 per person including snowshoes, or $10 if you bring your own. Space is limited, so reserve online at ionaheightsinn.com/events/ Everyone will meet at The Frolic’n Folk Pub to start off the walk. 11 (Dartmouth) Don Bidgood Children’s Chess Tournament at the Alderney Gate library 9am-3pm. Contact the library at 490-5748 for more information and to pre-register. Pre-registration begins March 1. Free. 15 (Halifax) Free Admission to the Discovery Centre every Wednesday 5-8pm. 19 (Iona) Daytime Walk at Hector’s Poin at 1 pm. This hike will see you walking around the snowy Highland Village. It will be approximately 3km and will end back at the Frolic’n Folk Pub. There you will receive a cup of Jill’s Hot Chocolate or for those that are 19/over a 10oz pint.Walk is for all ages. Shorter routes are available. $15 per person including snowshoes, or $10 if you bring your own. Space is limited, so reserve online at ionaheightsinn.com/events/ Everyone will meet at The Frolic’n Folk Pub to start off the walk. 21 (Halifax) Climate Change: A Panel Discussion at Maritime Museum of the Atlantic at 6 pm. The Rotaract Club of Halifax is hosting an Academic Panel discussion. Climate, Political and Social Scientists will provide the most up-to-date facts about the climate change happening in Canada and the world at large. The panel discussion will be followed by a question and answer period. The panel will consist of Kate Ervine, PhD, John Cullen, Professor Emeritus, John Loder, Emeritus Scientist and Christine Stortini, PhD Candidate. 22 (Halifax) Free Admission to the Discovery Centre every Wednesday 5-8pm. 23 (Halifax) Devour! The Sea – A Maritime Fundraiser at Maritime Museum of the Atlantic from 6:30 pm – 9:30 pm. A special fundraising event for the Dartmouth North Community Food Centre. Join us for a historical “magical mystery tour” where our museums spaces and exhibits bring alive our Maritime heritage, regional food and films of “the ocean”. Experience the world’s largest film festival on the waterfront, support a wonderful organization and attend this intimate, exclusive evening that’ll be a feast for the senses! 25 (Dartmouth) HEMS Annual Science, Art & Technology Fair at Bedford Institute of Oceanography at 10am. To register, contact [email protected] $5 per participant. 25 & 26 (New Ross) Wonders of Maple Syrup at Ross Farm Museum. Sample maple syrup and pancakes in Rosebank Cottage, learn about the process of tapping trees, collecting sap and boiling sap down over an outdoor fire. 28 (Halifax) The Magic and Mystery of Sable Island at 7:00 pm at Maritime Museum of the Atlantic. Join Bill Barton as he presents a new documentary film on Sable’s history and environment. Bill has sailed his boat from Massachusetts to Sable three times. In 2010 and 2015 he combined his historical research on Sable with Dan Finamore, Curator of Maritime Art and History at the Peabody Essex Museum, to conduct the first on-island archaeological investigations on Sable. The film is narrated by world renowned sailor and America’s Cup commentator, Gary Jobson. Bill will be on hand for a Q&A session following the film. 29 (Halifax) Welcome Wednesdays from 10 am to 12 pm at the Maritime Museum of the Atlantic. We are inviting young families, day cares and newcomers to the Museum every Wednesday morning for a chance to explore the Museum and engage in a number of fun, self and staff guided activities. Enjoy our puppet theatre so little ones can explore their creativity and imagination, activity and colouring sheets, crafts and books in both official languages, and Arabic for young readers. 29 (Halifax) Free Admission to the Discovery Centre every Wednesday 5-8pm. 1 Girls Get Wise Science Retreat at Mount Saint Vincent Univeristy in the Multipurpose room of the Rosaria Student Centre, 10am-3:30pm. For girls in grades 7-12 to explore science through hands-on activities, and discover careers in Science, Technology, Engineering, and Math (STEM) by meeting and chatting with women working in STEM fields. A limited number of spaces are available so be sure to register early. 8 (Halifax) Homeschool Fun at the Playbox at noon. Kids Up to 12 on the apparatus have discounted rate. Adults, Babies, and 13+ are free. Discount is calculated by number of kids on apparatus which is calculated using the sign in sheet. About an hour or so after the start time the discounted prices are calculated. We let you know how much per child and per family.